As busy as I feel we have been this summer, Melissa at Blank Slate Patterns (affiliate link) has us beat. She has a fall line called Graphic being released this week for Blank Slate Patterns and of course her contribution to the much anticipated Alphabet Collection for Pattern Anthology. 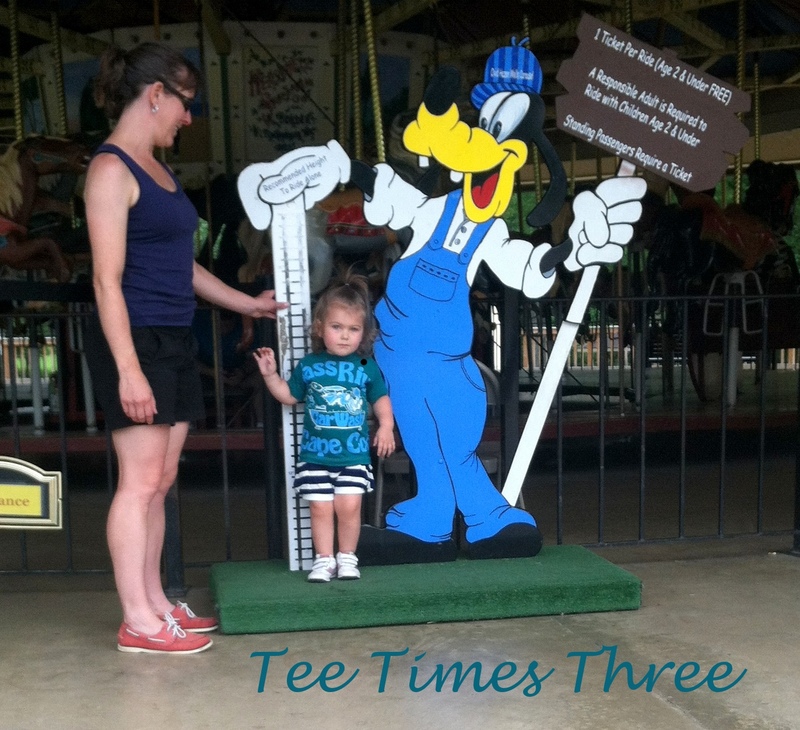 I was able to test one of the new patterns called the Tee Times Three (affiliate link). This is a perfect pattern to add to anyone’s collection. 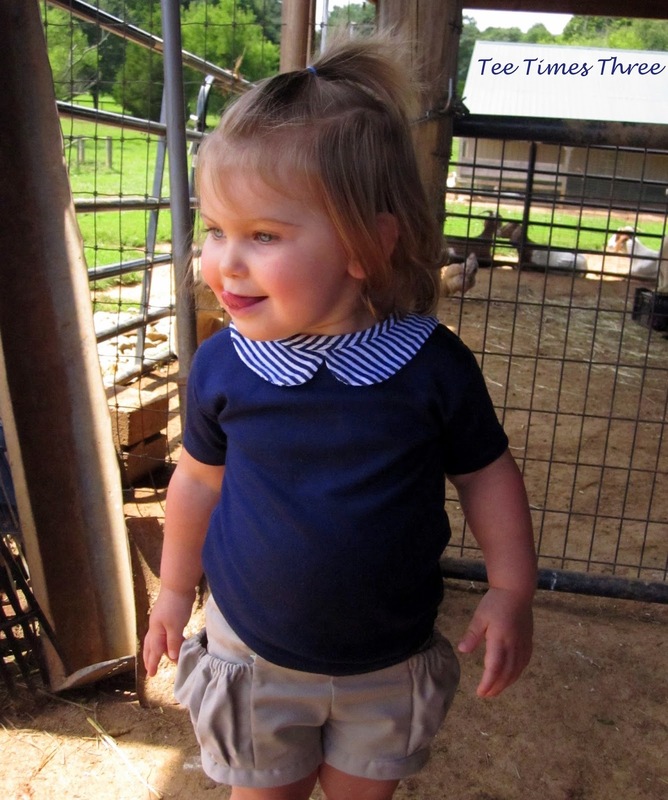 There are a few styles to choose from, but at the heart of the pattern is a basic unisex T-shirt bodice. That means it can be used as a starting point for all of those online free tutorials that start with “trace a T-shirt in your child’s size” and we all know how many of those there are out there! I’ve heard there are many people who are not quite sure what to do to even get started with tracing an existing garment and this pattern remedies that. You can just jump right into the fun part without looking for a clean T-shirt to trace, hehe. I tested two of the styles in two different sizes. Bean is right at the edge of 2T for some clothing and about to leap into 3T for others so I thought it would be great to see how each size fit her. 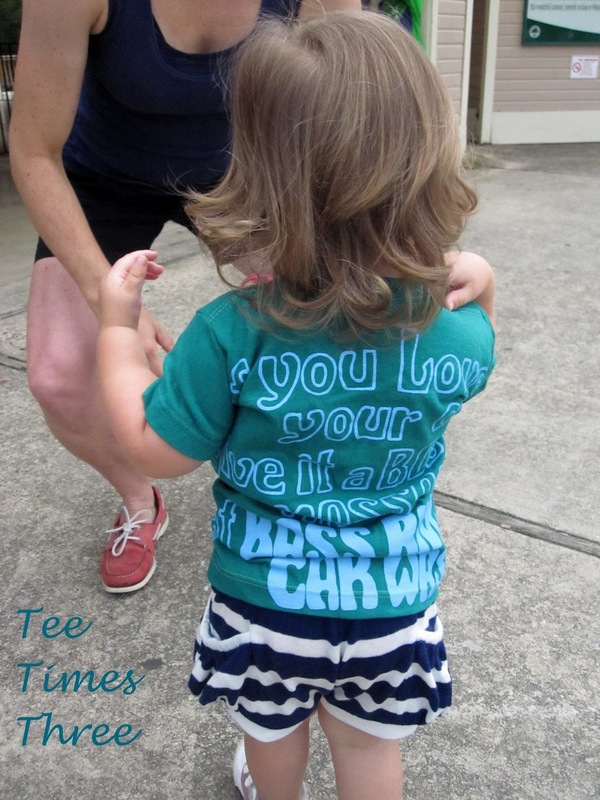 The Regular T-Shirt was tested in size 2T. I used an existing T-shirt that I have been wanting to resize for Bean (it’s my father’s business) with some ribbing for the neckline. I think it turned out perfect. It’s a basic T, but again it was made super quick without having to think of tracing or grading. 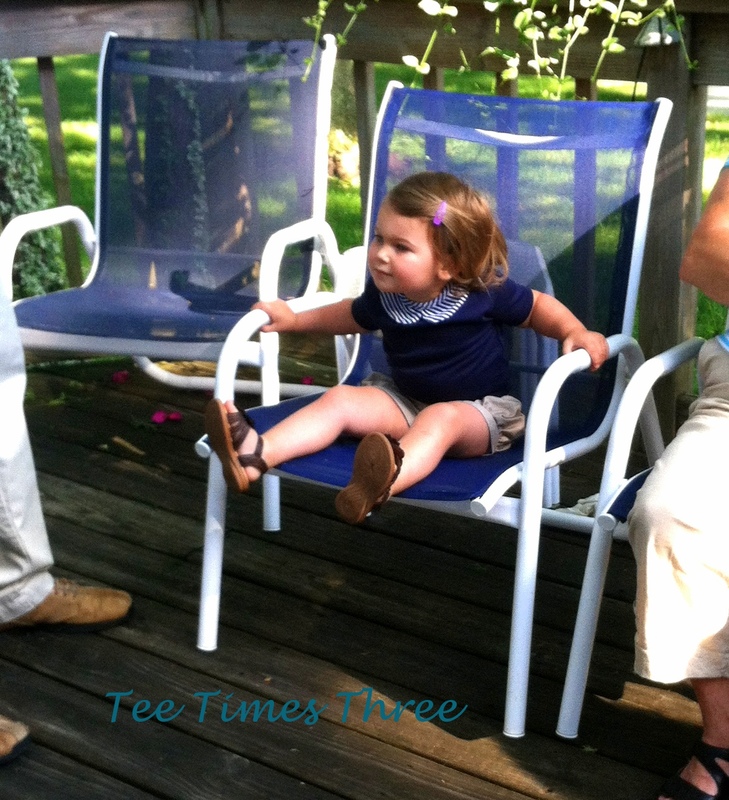 The Peter Pan Collar with a back keyhole opening I tested in a 3T. This one fits Bean better in size which is what I thought would happen. 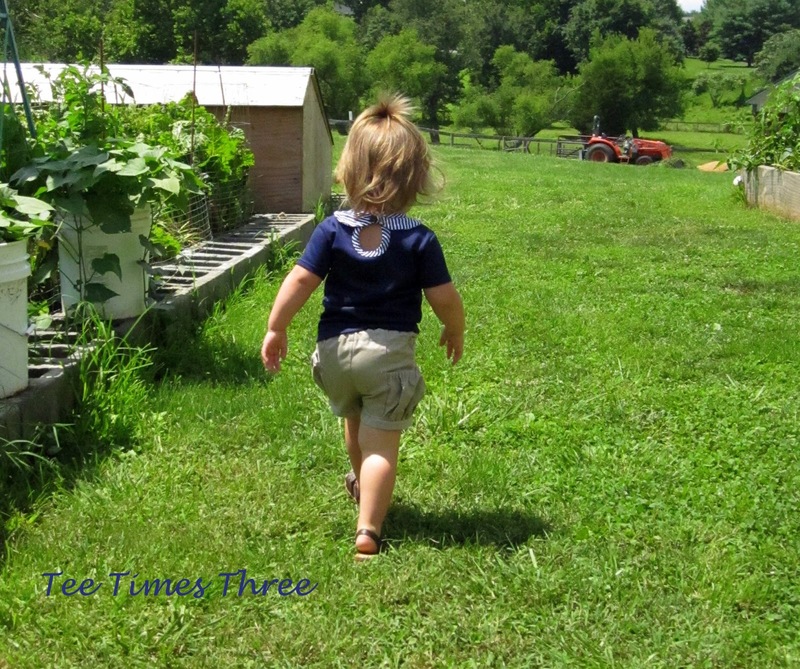 It’s tough when kids are right in between sizes, but this just shows that the pattern sizes for BSP are spot on. That collar and keyhole are adorable, right? In the picture below she thought it was hilarious that the kitty was licking it’s fur so she was pretending to lick, hehe. I love the shirt so much that Bean wore it for some family portraits we took while we were visiting MA last week. With the option for a hood and/or kangaroo pocket I know this is a basic we’ll use over and over again. Especially since the sizing goes up to 8. I highly recommend this pattern (affiliate link)! 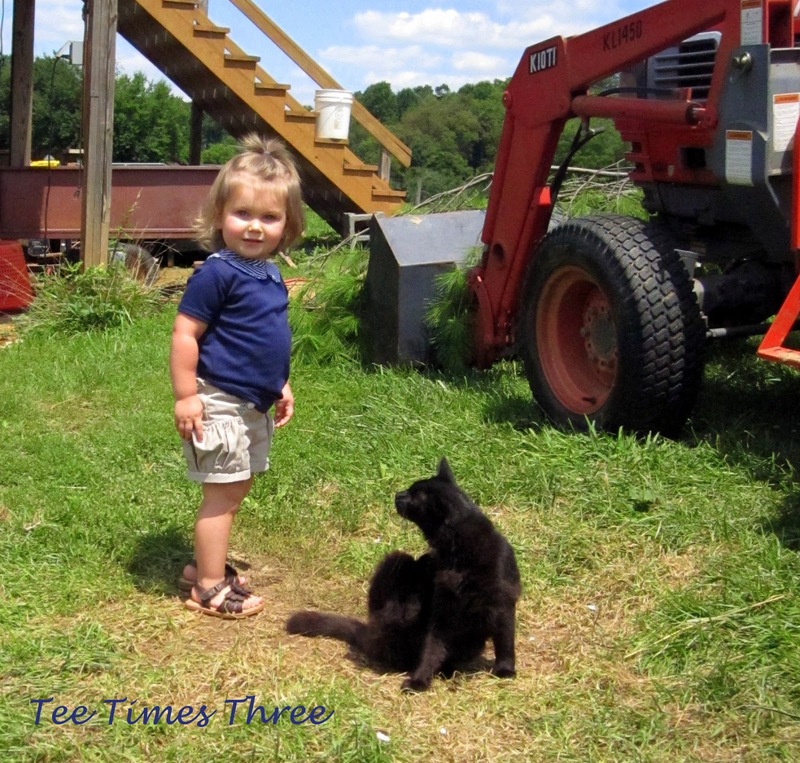 And one last picture of Bean driving my father’s lawn mower. She was very excited until she actually got up there, hehe. She's getting soooo big! I love that pattern too! I'm sad because my kiddi is a 10 now…it's harder to find cute patterns. This one would be pretty easy to draft up a size I think! I really like both tops, & I really like the idea of sizing down an old shirt. Very cute! 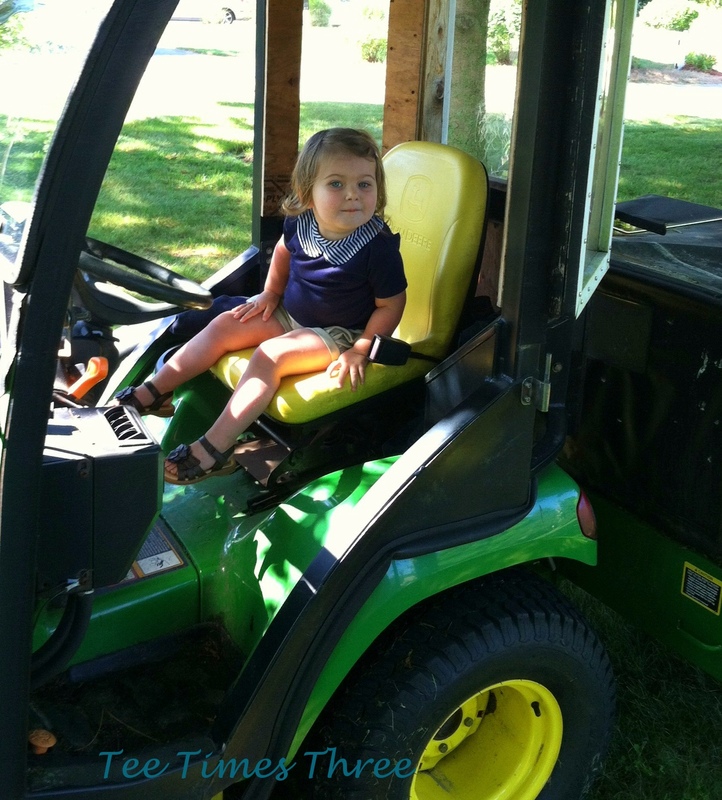 Funny, I never saw her sit alone in the tractor. Just with pafa, sort of quietly freaking out. And I'm talking about pafa freaking out, not bean! Que preciosidad de niña, es una modelo espectacular! 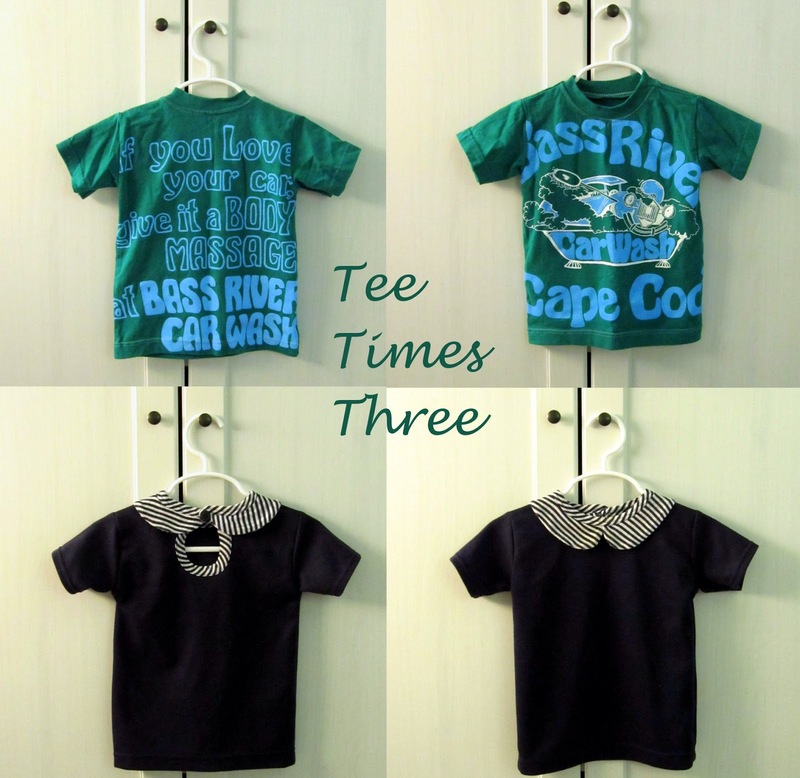 The tee with the collar is so adorable! The other is cute too, but that little striped collar! I like them both! I agree the transition size time is tough. My oldest is cresting sizes right now too. I totally agree it's nice to have the basic bodice pieces so you don't have to trace every time you want to use a tutorial, looks like a great pattern for that! So cute!! I always love what you make! I love that you were able to use the navy collar one for family photos. They are both cute. Hope you enjoyed your vacation. I have been having the size problem with both my kiddos right now. Ryder has such strong shoulders that a 6 fits him best there but that makes it a little long, but a 5 is too short everywhere. Then Boston I participated in E&E's spin skirt & Bubble top test for 12-18M and the top the chest was too tight for my liking but I wouldn't have made any longer. Then I tested the Sierra dress for Peek A Boo and made the 18M and the shoulders came out too big. Her chest measurement put her on the 6-12M size peek a boo not the 18M. The funny thing is that commercially is she is solidly a 18M, though the length of the dresses usually end up being a little shorter than I would like.